Strutt & Parker’s 2018 Waterside Survey, has highlighted the continuing strong demand for homes near water, with four in ten young adults wanting to move to live closer to the water before the age of 35[i]. Homebuyers can make the most of the end of summer sun at De Montfort Place in Bedford. The new development by Storey Homes provides residents with the opportunity to spend more time outdoors, taking advantage of the communal green public space, as well as enjoying riverside walks along the nearby River Great Ouse all within walking distance of Bedford station. De Montfort Place offers 152 exclusive houses and apartments in a range of styles, comprising one-bedroom apartments to five-bedroom houses, all located within close proximity to Bedford town centre and the River Great Ouse. The riverside town is now also home to new public open space located between Dynevor Road and Linden Road, providing landscaped gardens, play equipment and new tennis courts for use by residents of the local community. Featuring a stunning collection of one and two-bedroom apartments, Pembroke Court provides buyers with large living areas that effortlessly flow into the contemporary kitchens. Bathrooms and en suites feature sanitaryware with matching white shower trays, with family bathrooms including a shower over the bath with glass screen. Each apartment comes with a secure allocated car parking space set within the gated development. 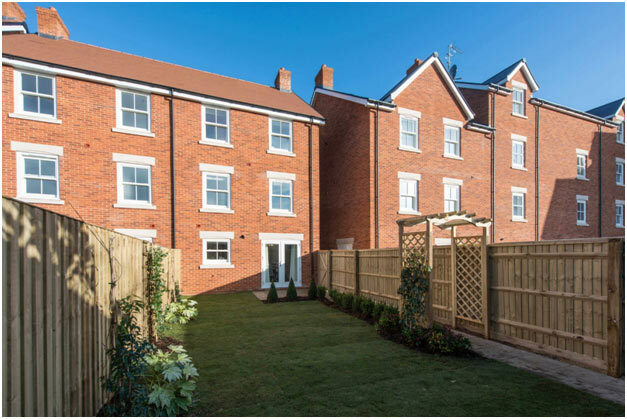 Ideal for families, The Melton is a stunning four-bedroom townhouse which is situated across three floors. The entire living accommodation is located on the ground floor which offers a spacious living room at the front of the house that leads onto the open-plan kitchen and dining area. The open-plan living provides the hub of the home, ideal for families, with double doors leading out to the private rear garden. Both bedrooms on the first floor include en suites and private dressing areas. On the second floor, a separate study room creates the perfect place to work from home as well as a further two bedrooms which share a family bathroom. 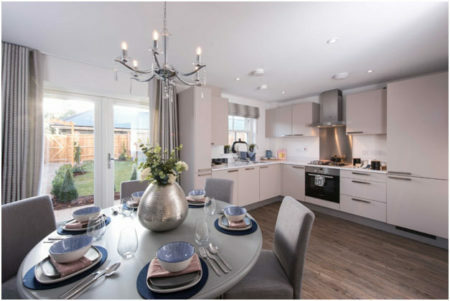 Fans of the outdoors can enjoy 360 acres of lakes, meadows and woodland at the award-winning Priory Country Park, just a 12-minute drive from De Montfort Place. The town of Bedford also provides a range of retail and leisure opportunities for local residents, including shops, restaurants, cafés and bars. Ideal for families, Bedford is home to a number of well-regarded schools, including the independent Polam School, only a short five-minute walk from the development. For further education, Bedford College is approximately a 12-minute drive away. For commuting, the development is within an 11-minute walk of Bedford train station. From there, frequent links into London St Pancras take just 39 minutes. By car, major roads are easily accessible from the development, with the M1 within a five-mile drive, and Luton Airport approximately 40 minutes away. Prices at De Montfort Place currently start at £192,500 for a one-bedroom apartment and from £239,950 for a two-bedroom apartment. The Melton, a four-bedroom house, is currently available from £450,000 and The Evesham, a five-bedroom house, starts from £515,000. Help to Buy is available on selected plots. For more details, please visit www.storey-homes.co.uk or call 01582 742165 to register your interest.